When it comes to growing a business, you’ll want to consider the role influence plays on turning prospects into paying customers. People buy from those that they know, like, and trust. But how do you invoke these actions? The secret lies in your ability to effectively use the principles of influence. 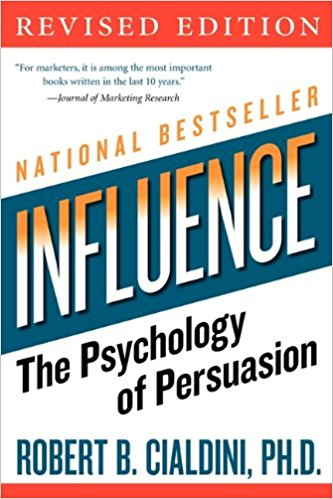 Psychologist Robert Cialdini defines six universal principles of influence in his book Influence: The Psychology of Persuasion. Although you’ll want to eventually be using all six principles of influence, this article will focus specifically on mastering social proof. According to Buffer, social proof is “a psychological phenomenon where people assume the actions of others in an attempt to reflect correct behavior for a given situation”. The higher the authority of the clients giving you testimonials, the easier it will be to go about marketing testimonials to win more business. You can ask for testimonials on any medium (like as an email sent to your best customers) but I’ve found that it’s most effective to initiate the process on LinkedIn. Why? Because getting a testimonial on LinkedIn acts as public proof that you didn’t make it up. For those that use LinkedIn for lead generation as part of their inbound marketing funnel, having testimonials from happy clients and industry thought leaders can also help with conversions on the platform where B2B business happens most often. Did you know? 80% of B2B leads on social media come from LinkedIn. This is your opportunity to frame the testimonial in terms of what you want the other person to say about you and your work. It’s also your chance to make sure this testimonial actually gets written—the easier you make it on the other person (by providing these bullet points), the more likely they are to give you a testimonial in a timely fashion! Jog the other person’s memory by talking about past projects you’ve worked on together, positive results that you helped to affect, and other traits you want to be recognized for. If you don’t hear back right away, don’t be afraid to remind your prospects that you’d love their testimonial. Perhaps they were busy when you first sent a request, so send another message to bump it back into their attention! If you’ve given them enough to think about, using the provided template, it won’t take them more than a few minutes to create a compelling testimonial on your behalf. But just because you initially gather testimonials on LinkedIn, doesn’t mean that they have to solely live on this platform. Once you’ve gathered a few LinkedIn testimonials, consider how to repurpose this content on your company’s website and social media accounts. If you use third-party tools to gather testimonials (like Yelp, Facebook, or industry-specific review platforms), you might want to create some sort of database to gather all these bits of positive feedback in one place, for easy reference. A Google Sheet shared with all relevant members of your team would do nicely. Once you have a few testimonials to work with, it’s time to share them with the world on relevant marketing materials. 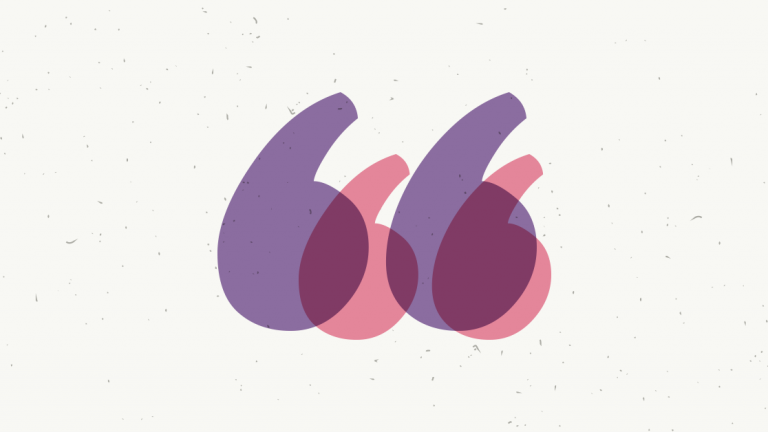 One of the most important places for marketing testimonials? Your company’s website! But where can you weave in your powerful testimonials for the most impact? Content marketing master Andy Crestodina warns against giving them their own ‘Testimonials’ page in your top-level menu navigation. He notes that visitors never go there, and instead, testimonials should be woven into every page on your website. Perhaps the most important page for marketing testimonials is your home page. As one of the most, if not the most popular page on your website, new visitors use this page to learn about your company, at-a-glance. Because of this, it’s important to use some of this valuable real estate to connect the dots for visitors as to why they should work with you. Folsom Creative effectively uses the influential principle of social proof on their website by highlighting clients and the successes they’ve achieved on their behalf. To be the most effective when marketing testimonials, include a picture of the client giving the testimonial, as well as their full name, title, and company. Don’t forget—the use of testimonials doesn’t have to begin and end on your homepage. They’re just as effectively leveraged on service pages, your about page, or even your contact page. Ideally, you’ll have some permanent, public records of the nice things people say about you, whether they’re on LinkedIn, your website, or both. But besides weaving testimonials into a static website design, you’ll want to consider using them as a feature of your marketing campaigns. Just as with any other marketing efforts, you’ll want to create a strategy around how to be effective. As part of my own social media strategy, I create branded image templates to make it easy to plug in testimonial text and other imagery, without spending a lot of time on it. Getting testimonials is just the first step—it’s using them that can help take your business to new heights. 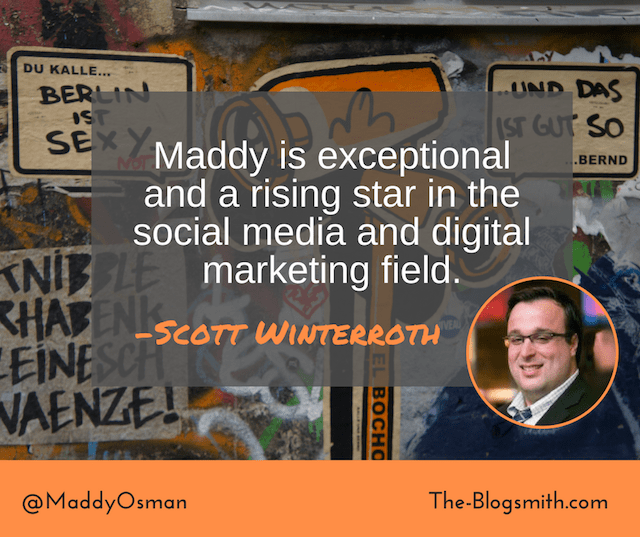 How are you using testimonial marketing to grow your business? Any tips you’re willing to share with those just getting started? Let us know in the comments!